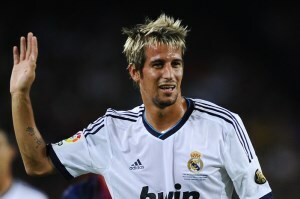 Real Madrid fullback Fabio Coentrao has now emerged as a target for Real Madrid. According to The People, Spurs boss Andre Villas-Boas wants to bring in his fellow Portuguese Coentrao, as long as Spurs secure a top-four finish. If they fail to qualify for the Champions League, then Tottenham’s England Under-21 star Danny Rose will be likely to start next season as the club’s first-choice left-back, after a season-long loan at Sunderland. The 25 year old Portuguese international will be ­allowed to leave the Bernabeu this summer and would cost Spurs around £15m.